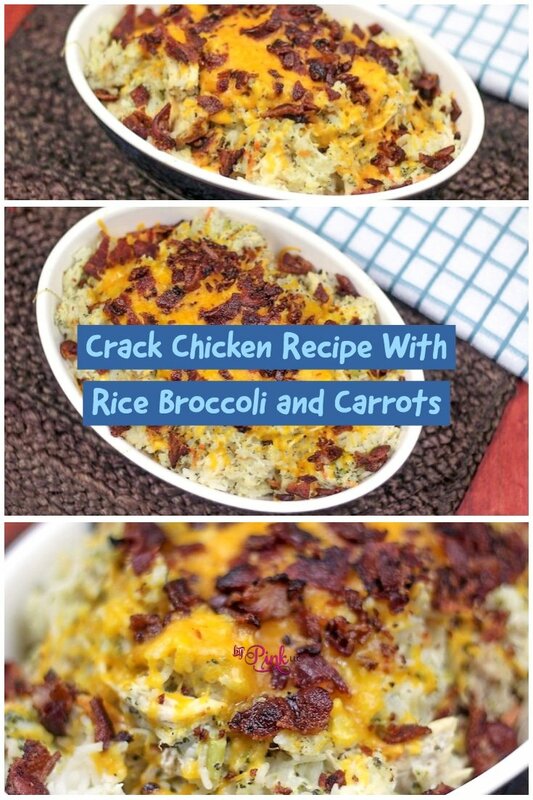 My Instant Pot Crack Chicken Recipe With Rice Broccoli and Carrots tastes great, is made with real bacon and takes just 30 minutes to make! 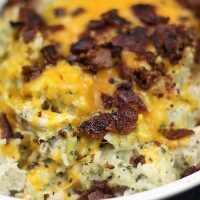 I am a sucker for a tasty casserole, and this one takes home the blue ribbon for sure. I used Homemade Ranch Dressing Mix, which took minutes to make, and adds a more homecooked flavor to the dish. It totally makes this dish better. 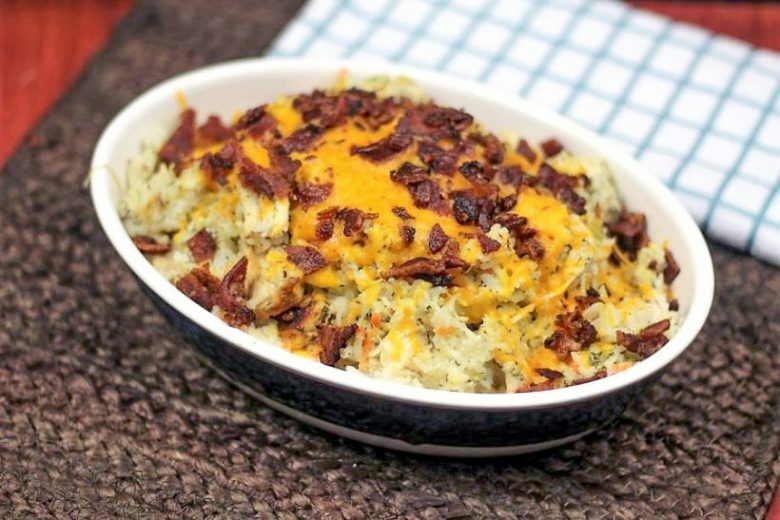 It’s an upgrade from the crockpot recipe you’re used to! No more waiting 6 to 8 hours for dinner. If you like the flavors of crack chicken, you will want to try this Crack Chicken Soup in The Instant Pot its a great cold day crack chicken recipe. 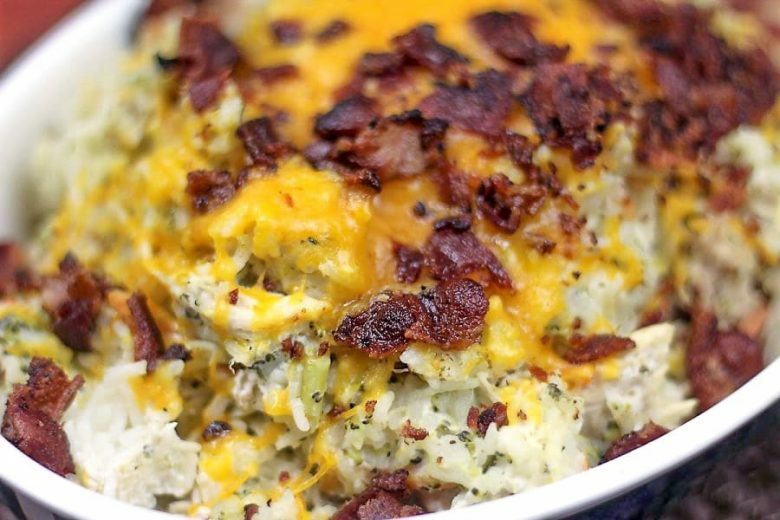 You have juicy chunks of chicken, bacon galore, and a rich and creamy, cheesy ranch base. Plus you can hide in some veggies for added flavor and a convenient way to get your kids to eat them. When I say the Instant Pot has been a total life changer, I mean it. I work a full-time job, and I have three kids, cooking was a chore. After working all day long, the last thing I felt like doing was cooking dinner. But, as a mom, we have to make sure our children get the nutritional meals. So when I came across the Instant Pot and began using it, it changed my life in so many ways. I hear all the time, why do I need a pressure cooker when I have a slow cooker, well why cook slow when you can cut your cooking time tremendously! The electric instant pot is a total upgrade from the pressure cookers your grandma used to use. With a few clicks of a button, you can start your cooking time. Plus because it is an electric pressure cooker it has those safety features that protect you. Unlike the old stovetop ones that were notorious for blowing up in your face if you weren’t careful. Seriously, I use my Instant Pot almost every day of the week, and sometimes I use it a few times a day. I might make steel cut oats for breakfast and then this for dinner. I love how versatile my instant pot is, and the more I use it, the more fun I have playing around with new recipes. To date, I have cooked so many things in my Instant Pot pressure cooker, most of which you can find right here on my blog. I even recently made silk tie-dyed Easter eggs. It was really fun to use the pressure cooker in a new way. I was also amazed at how well the eggs came out; they were full of colorful prints, which all the little kids at the Easter egg hunt went crazy over them. 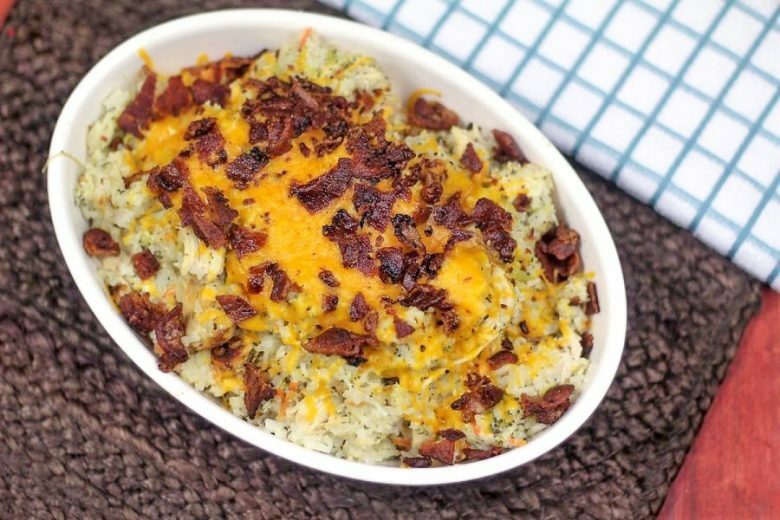 This is a really simple recipe, and it uses my Copycat Hidden Valley Ranch Seasoning instead of store-bought, which probably had MSG and tons of other stuff that’s not good for you. I find it also saved me some money because I could make a good amount of this and keep in my pantry. We love ranch in our home, so making our own ranch seasoning is something I’ve done for a long time. Try out this recipe, and let us know what you think. Share your recipe photos in my recipe groups Recipes from the Best Food Blogs and Instant Pot Recipes and Talk. Copycat Air Fryer Chick-fil-A Nuggets. If you need recipes for inspiration on what to cook next in your pressure cooker, I got you covered. I am always whipping up new recipes and sharing it on my site, for you all to try out! 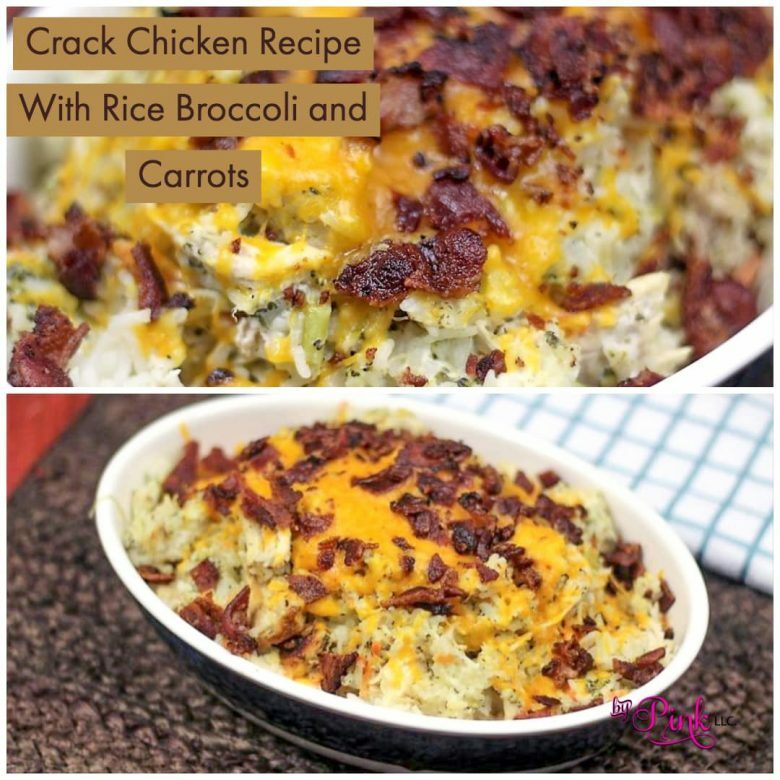 Instant Pot Crack Chicken Recipe With Rice Broccoli and Carrots tastes great and takes just 30 minutes to make! 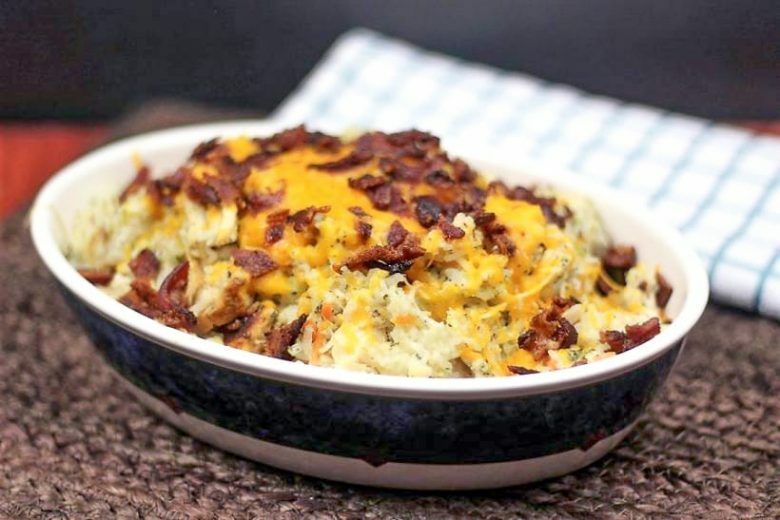 I am a sucker for a tasty casserole, and this one takes home the blue ribbon for sure. Add rice, then broth, and add the veggies lastly. This recipe can easily be made on your stovetop also. Just cook the rice and chicken separately and then combine. Are the broccoli and carrots in this or on the side? I don’t see where they were added in the instructions. Thanks! I’ve fixed it, sorry about that. How much carrots? They’re not listed in the ingredients. I have updated the post, sorry about that. Hi there – when do you add the water? same time with the broth? Thanks! There shouldn’t have been any water. I’ve updated the recipe. Thank you for this recipe! But I need your help. I’m not clear on when & where to use the different amounts of cheese: 1 cup cheddar + 16 ounces of cheddar. Is the 1 cup used in the pressure cooker; and the 16 ounces is used as the “crack chicken” topping if desired? It should only be 1 cup, I am not sure how I put 2 different amounts in there. Is the rice cooked or uncooked when you put it in? I figured so, but just wanted to check. Thank you! Super easy recipe and it’s delicious! My only problem is that some of the rice wasn’t completely cooked. I would love any suggestions. This was the first thing I made in my pressure cooker. I followed the directions, and the rice didn’t cook all the way and the chicken browned on the bottom. I’m thinking I might not have had enough liquid. Are there adjustments that you have to make for an 8 qt? It sounds like you may have needs more liquid. Just curious, but were the vegetable soggy after all this time?? They weren’t, we loved it. Not exactly sure, it made enough for leftovers. After making this according to directions, my still frozen chicken wasn’t quite done. I put the lid back on cooked it a little longer. I probably should’ve added a little more liquid, because some of the rice stuck to the bottom and the vegetables (I used frozen broccoli) disintegrated into nutrients. Lol. It was still delicious, and my picky husband loved it! I’ll be making it again! I’m glad it ended up working out for you ? Great meal, thanks! I added 1 cup of uncooked rice, instead of 2 & cooked my frozen chicken breasts in IP to 15 minutes & it turned out well. Appreciate the recipe! Mine turned out super sticky rice kind of dry?? I feel like we should have maybe used more broth? Anyone else’s turn out a little dry? I made this last night and it was delicious!!!! I followed the directions exactly EXCEPT I added an extra half cup of chicken broth since I saw others say theirs was dry. Mine was perfect. Chicken was cooked just right. Nothing burned to the bottom. so easy too! I used natural release which lets the contents cook a little longer and preserve some of the moisture. Took about an hour from gathering the ingredients to finish. This made 8 servings. Looking forward to enjoying the leftovers! Has anyone made this with brown rice? Would it ruin the chicken to cook it for 22 minutes? I made this last night and used brown rice. I think 22 minutes would be too long. I added 1/2 cup extra chicken broth and the rice was great. Chicken wasn’t quite done after 12 minutes so I might do it for 14-15 next time. Thanks for the recipe! I tried this last night (my first dinner in the IP). It was good! I added 1/2 cup extra chicken broth per some of the reviews above and the rice turned out great (I used brown rice). My frozen chicken breasts weren’t quite done after the 12 minutes (had to finish them in the oven) so I will cook for a little longer next time, but it was great otherwise! Did you cook this on low or high pressure?